All the staff and pupils of Oakley School would like to congratulate Julie Brock and Sue Langwith aka J&S Opening Doors/Herbilicious on winning GOLD in this year’s Royal Tunbridge Wells in Bloom, in the Schools Category! 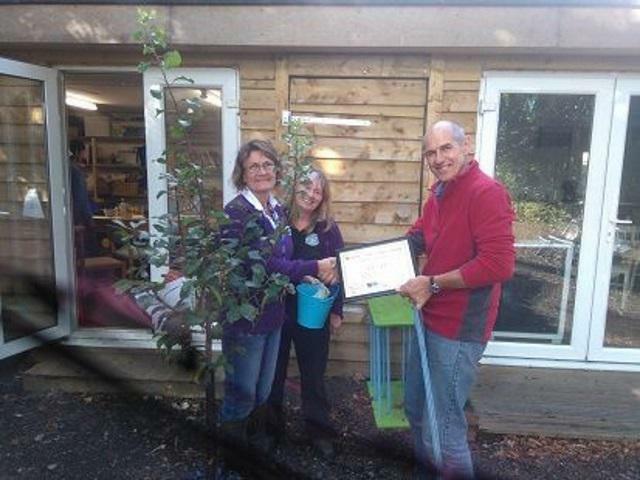 As part of their award they were given a Plum tree, presented by our very own Mike Shackleton. Julie and Sue work closely with Oakley School and in particular our Further Education students, and Julie is also a Governor, so we could not be more thrilled for them.